Should Sanford case be Worthy’s Waterloo? Should she, others be charged with obstruction of justice and malfeasance in public office? Should Wayne County Prosecutor Kym Worthy, DPD be charged for false prosecution of Davontae Sanford, nearly nine horrific years in prison? DETROIT – Wayne County Prosecutor Kym Worthy knew virtually from day one that charges against 14-year-old Davontae Sanford for four murders on Runyon Street on Detroit’s east side in 2007 were bogus, according to the full 117-page Michigan State Police (MSP) report on the case. 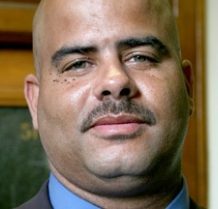 The report contradicts a June 20 Detroit News story by George Hunter which blamed the prosecutor’s office only for an eight-month delay in Worthy’s disclosure of a statement by former Detroit police deputy chief James Tolbert to the MSP. Tolbert told the MSP in 2014 that he lied when he said Sanford drew a sketch of the house where the killings occurred. The Detroit News editorial board, however, has since called for an investigation by Michigan Attorney General Bill Schuette of the conduct of both the prosecutor’s office and Detroit police in this case, and also for a federal civil rights investigation. 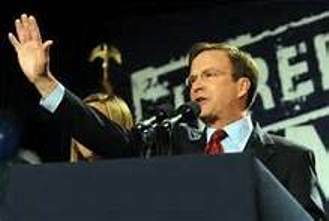 However, given that Schuette along with Worthy has been a fervent advocate of juvenile life without parole, despite two U.S. Supreme Court decisions declaring it unconstitutional, it is questionable how effective his investigation would be. Hunter has now also revealed that the charges against Sanford have not yet been formally dismissed, as his trial judge Brian Sullivan reviews yet more evidence. That may explain why Worthy concentrated on the evidence against Sanford, and not on the confession and culpability of Vincent Smothers, during her June 9 press conference. State trooper, APA Timothy Chambers, who handled court appeals in Sanford case, and Jason Williams, chief of Worthy’s appellate division, at Worthy’s side during June 9 press conference; they did not comment. But the MSP report is largely based on the Detroit Police Department’s production and review of evidence immediately after the Runyon street murders in 2007. It says the description two eyewitnesses gave of the killers did not comport with Sanford’s height and age, and questions why Detroit police never further investigated Vincent Smothers’ confession to the murders two weeks after Sanford went to prison in 2008, among other factors. Channel 7’s farewell card to Bill Proctor on his retirement after 33 years. “We revealed the misconduct of the Detroit Police Department (DPD) way back when this happened,” former Channel 7 news reporter Bill Proctor told Channel 7 after Wayne County Circuit Court Judge Brian Sullivan reportedly vacated all charges against Sanford and ordered his immediate release from prison on June 8, 2016. That was nearly nine years from the date Worthy charged Sanford, on Sept. 23, 2007. Proctor referred to hitman Vincent Smothers’ confession to Detroit police on May 6, 2008 that he and an accomplice carried out the murders. Proctor later told VOD that Worthy and the DPD had “orchestrated” the entire prosecution of Sanford. The full MSP report points out numerous discrepancies in initial DPD reports on the case, which should have been noted not only by Detroit police but by Worthy. It also says that Smothers’ confession, which Worthy said was “not evidence” and undetailed during her press conference, was in fact credible. Vincent Smothers, held at Michigan Reformatory in Ionia. 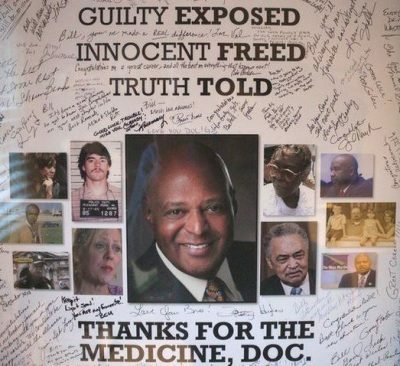 Key witness Valerie Glover, who hid under a bed and survived the shootings, gave a written statement to police Sept. 18, 2007.“Glover described the subject as a black male, no more than thirty to thirty-thirty five years old with a soft voice. Glover further described the subject as approximately 6’ to 6’1” tall with a slim build,” says the report.Worthy said during her press conference that Glover identified Sanford’s voice in court although he did not fit the description she gave. Neighbor Jesse King, who engaged in a shoot-out with the killers, “described the first subject as being 5’11”-6,’ brown-skinned, slim medium build, dark clothes . . . He advised the initial subject was carrying a long gun. King described the second subject as slightly shorter than the first with the same build and complexion. He advised that the subject was carrying a handgun.” His written statement is dated Sept. 18, 2007. In two confessions, typewritten by police investigators, Sanford claimed he had several accomplices in the Runyon Street killings. Antonio Langston, who Sanford called “Tone Tone,” Angelo Gardner, called “Los,” Cary Dailey, called “Cary,” and Santo Green were interviewed by police. Sanford later gave nicknames for other individuals, but police were not able to identify them or confirm that they even existed. 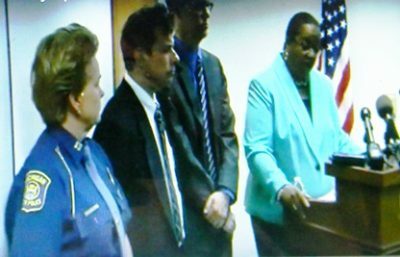 Worthy referred only to the second set of alleged accomplices during her press conference. Worthy said at press conference these were the factors in her decision to charge Sanford. They are all disputed in the MSP report. 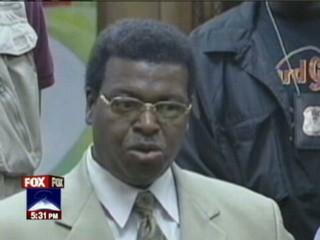 Former Detroit homicide chief WIlliam Rice after sentencing; Worthy charged him after he testified on behalf of Sanford. Worthy boasted during her press conference that it was she who asked the MSP to conduct an investigation of the entire Sanford case on May 4, 2015 after a motion for relief from judgment was filed in front of Judge Sullivan. She referred hurriedly to the MSP’s earlier perjury investigation of alibi witness William Rice, former Detroit homicide chief, but did not indicate that she had in fact requested that investigation. 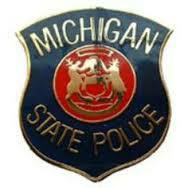 State police Detective Sgt. Christopher Corriveau wrote in the MSP report that it first became involved in the case when Worthy asked the MSP to investigate former DPD Homicide Chief William Rice for perjury in post-conviction proceedings in the Sanford case. The MSP was already investigating him on charges related to mortgage fraud brought by the Prosecutor’s Mortgage Deed Fraud Task Force, and by the U.S. Department of Housing and Urban Development (HUD). 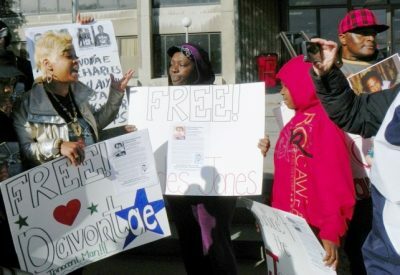 Taminko Sanford-Tilmon, Davontae’s mother (l) and Mertilla Jones, grandmother of Aiyana Jones, killed by DPD at the age of 7, held joint rally demanding justice for Aiyana and freedom for Davontae and Aiyana’s father Charles Jones June 23, 2012. Jones was convicted of first-degree murder on charges brought by Worthy’s office based largely on jail-house “snitch” statements. Worthy called this a “perjured alibi” during her press conference, based on cell phone tower evidence called questionable by defense attorney Kim McGinnis during the hearings. An appeals court later overturned Judge Sullivan’s decision in a scathing denunciation of how the case had been handled. Worthy ignored DPD records of other statements corroborating Rice’s testimony directly after the killings. The MSP report says Sanford’s mother and uncle Taminko and Nathaniel Sanford told police Rice had driven them, Sanford, and Sanford’s two sisters to Cheryl Sanford’s house for dinner around 9:30 p.m. and did not return until early the next morning. Sanford also told officers who encountered him outside his house that night that his “uncle” Bill Rice had just dropped him off. Worthy charged Rice with two counts of perjury in the Sanford case, and numerous counts regarding a mortgage fraud case, drug-dealing and other matters. Rice pled guilty in a plea bargain to the Sanford perjury counts and to one count of operating a criminal enterprise in the mortgage fraud case. 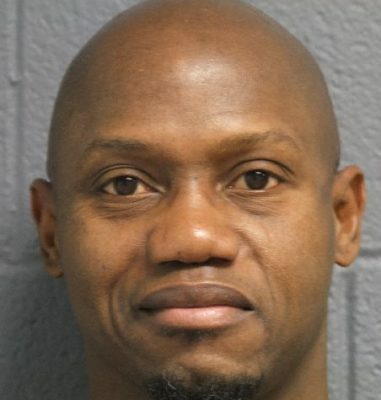 He was sentenced by Wayne County Circuit Court Judge Gregory Bill to 2-20 years in the Michigan Department of Corrections on the various counts, apparently running concurrently. Cheryl Sanford was charged in the mortgage fraud case as a co-defendant, and sentenced to five years probation, one to be served in jail, also in a plea bargain. 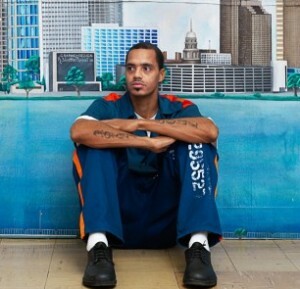 Detroit’s Channel 4 News reported that Rice would likely be out of prison in two years. 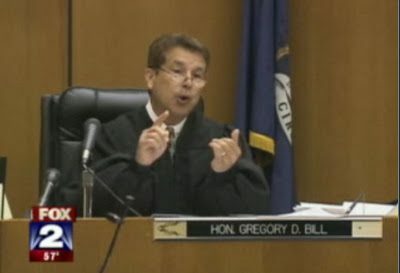 The Sanford perjury case and the mortgage fraud cases are listed separately in court records, but Channel 4 reported that Judge Bill sentenced Rice in both cases at the same time, apparently as part of a package deal. Considering that these cases were completely separate matters, it appears odd that Rice and Cheryl Sanford would have been sentenced for both before Bill on the same day, Feb. 22, 2012. Corriveau says that the MSP extended their investigation after interviewing Vincent Smothers, who had confessed to the Runyon Street killings. The MSP report indicates that they had already been looking into a series of murders the admitted hit man had confessed to. Worthy did subsequently author a letter dated May 5, 2015, asking the MSP to investigate, but she did not, as she said during her press conference, initiate the investigation. 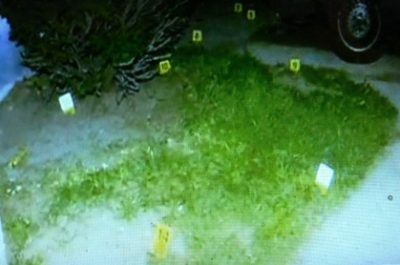 Slide of some of shell casings; MSP report says they did not match ammo that would have come from gun Sanford described. During his guilty plea statement at his two-day trial, and in his written confessions Sanford claimed he fired a “Mini 14 rifle” into the Runyon Street house. An Investigator’s note in the MSP report says, “[T]he commercially available Mini 14 rifle is a semi-automatic carbine that fires a Remington .223. or alternatively a 5.56 mm cartridge. Neither of these types of rounds were recovered.from the scene). The MSP report says Detroit police reported recovering 13 Wolf brand 7.62 x 39 mm cartridge cases and six Federal brand 7.62 x 39 mm cases at the scene. These were consistent with the use of either one or two AK-47’s. After Smothers’ confession to DPD on May 8, 2008, the DPD identified a gun taken from Michael Robinson, one of the Runyon Street murder victims, as the same gun with which Smothers later killed Rose Cobb, wife of Detroit Police officer David Cobb. Worthy said during her press conference that Sanford later referred to an “AK,” but it is not clear at what point this allegedly happened. The report notes police found other discrepancies in Sanford’s description of the weapons he and his alleged accomplices carried. Worthy said during her press conference that the DPD K-9 unit dog stopped directly in front of the residence of Davontae Sanford at 19770 Beland because the dog lost an unspecified scent. She did not describe the entire incident. The track stopped when Detroit Sgt. Michael Russell, who was following the track, happened on Davontae, a 14-year-old child on the street near his house in his pajamas. 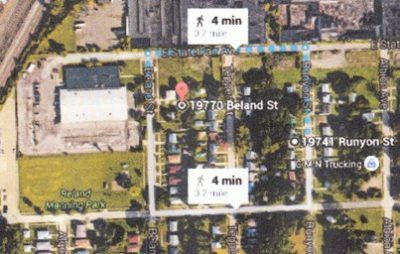 Google map showing Runyon and Beland street addresses. A report by Investigator Dale Collins explains why the track was terminated. Detroit police Sgt. Michael Russell is featured in this photo on the website for the infamous “First 48,” which stressed solving homicides in 48 hours. Aiyana Jones’ killer Joseph Weekley was also a “First 48” star. The MSP report notes that Russell, who testified in Davontae’s case, did not keep written reports of his actions. Diagram Tolbert testified Sanford had made of house, in Russell’s presence. 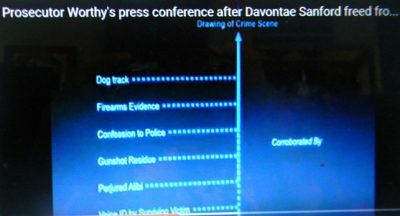 Tolbert later said he had done the diagram while Davontae placed the bodies. The report says they drove around for several hours, contradicting court testimony that Davontae was first interviewed at DPD headquarters. 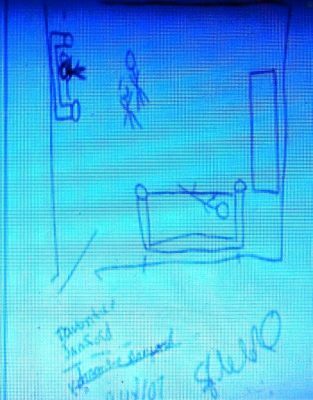 The report adds that Russell and other officers were present during Sanford’s interrogation later, while he allegedly drew the Runyon house diagram. The MSP has asked for perjury charges against Tolbert, but none against Russell or others. Leroy Payne, who Smothers said had hired him for many of his hits, under drug kingpin Delano Thomas, now deceased. There is no record of this arrest or any subsequent proceedings on the MSP “ICHAT” record for Vincent Smothers. There is however a record for Leroy Payne for the arrest in Berrien County, with subsequent adjudication of a plea deal for “attempted firearms possession of loaded firearm in or upon a vehicle.” Payne was originally charged with possession of a firearm by a felon and carrying a concealed weapon. His only other charges listed were drug possession felonies from the 1990’s. He is currently being held in custody in Georgia, according to the MDOC website. Worthy has not even attempted to investigate and prosecute Payne for hiring Smothers to commit the Runyon Street killings. 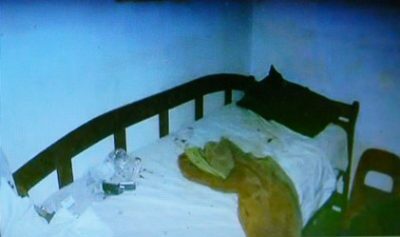 Bed under which witness Valerie Glover hid on Runyon St. during killings in Sept. 2007. Smothers told police there was a child on top on the bed, and that he told Glover to be quiet and she would be all right. Smothers told police Ernest “Nemo” Davis was his accomplice in the Runyon Street killing, and that Leroy Payne, employed by drug kingpin Delano Thomas, hired him for the job. The MSP report says it requested warrants for Tolbert, Smothers and Davis. But Worthy said at her press conference that she wanted further investigation by the MSP before issuing the warrants. The MSP has said its investigation is over. Thus left open is the question of whether Worthy and others from the prosecutor’s office and police department who were involved in Sanford’s frame-up should be charged with obstruction of justice and malfeasance in office for knowingly and wrongfully incarcerating Sanford and failing to pursue a case against Smothers and others. Sanford suffered torture, harassment and humiliation by guards while incarcerated at the Ionia Maximum Correctional Facility, and his mother, stepfather, and the rest of his family suffered untold anguish for almost nine years trying to free Sanford. Below: full video of Kym Worthy’s press conference after Davontae Sanford’s charges were dismissed without prejudice. It focused almost solely on evidence vs. Sanford, not the MSP report revelations. The following story includes link to full MSP report on the Sanford case, which is too large to include as a PDF on this site. It is unclear why the Detroit News did not include the link. The other two stories from the Detroit News by George Hunter, and the News’ editorial calling for an investigation of the prosecutor’s office and Detroit police, are referenced in the article above. This entry was posted in Uncategorized and tagged Beatbackthebullies, blacklivesmatter, ChargeKymWorthy, DavontaeFreeatLast, EndPoliceStatePrisonNation, FreeCharlesJones, FreeCharlesLewis, saveourchildren, StandUpNow, StopJuvenileLifeWithoutParole. Bookmark the permalink. 3 Responses to MSP: WAYNE CO. PROS. KYM WORTHY KNEW DAVONTAE SANFORD WAS INNOCENT FOR 8 YEARS, NOT 8 MOS. Kym Worthy is so unworthy. What a completely awful person. She should be fired and in prison her own self. 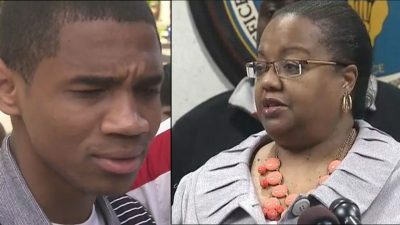 I THINK KYM WORTHY NEED TO BE PUT IN PRISON FOR KEEPING THE INFORMATION SHE HAD ABOUT THIS YOUNG MAN NOT BEING GUILTY ALL THOSE YEARS. SHE TOO SHOULD BE HELD FOR MORE THAN 8 YEARS. NOT ONLY SHOULD KYM WORTHY BE PUT IN JAIL, BUT ALL THAT WAS INVOLVED IN THE COVER UP. JUST LIKE SHE KEPT THIS CHILD LOCKED UP, AND HAD KWAME KILPATRICK LOCKED UP, SO SHOULD SHE BE LOCKED UP.